We offer well-appointed, newly renovated guest suites and rooms with free high-speed Wi-Fi, 32-inch flat screen televisions with four channels of HBO and Sterling's Imperial Sleep System. Our luxurious green-friendly bathroom amenities leave no signature on mother earth. Our friendly staff is ready to ensure a comfortable and memorable stay at The Best Western Meridian Inn and Suites. We guarantee the best available rates of any comparable hotel. We have pledged to lead the industry in customer care. We stand ready and eager to ensure our guests a comfortable and memorable stay. Relax and enjoy our lush courtyard, pool and spa. Our exercise room features a nice selection of state of the art, commercial grade, equipment with individual flat screens and sound systems access. 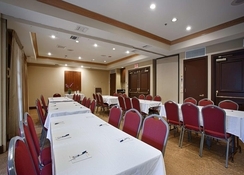 The Best Western Meridian Inn and Suites caters to both families and business travelers with our connecting rooms, complimentary breakfast, our hi-speed Wi-Fi, business center and exercise room. The layout of each suite and its hi-end furnishings have been designed for comfort and functionality. We offer well-appointed, newly renovated guest suites and rooms with free high-speed Wi-Fi, 32-inch flat screen televisions with four channels of HBO and Sterling's Imperial Sleep System. Our luxurious green-friendly bathroom amenities leave no signature on mother earth. 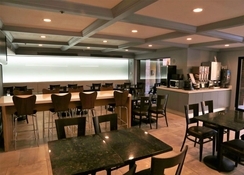 Our friendly staff is ready to ensure a comfortable and memorable stay at The Best Western Meridian Inn and Suites. We guarantee the best available rates of any comparable hotel. We have pledged to lead the industry in customer care. We stand ready and eager to ensure our guests a comfortable and memorable stay. Relax and enjoy our lush courtyard, pool and spa. Our exercise room features a nice selection of state of the art, commercial grade, equipment with individual flat screens and sound systems access. 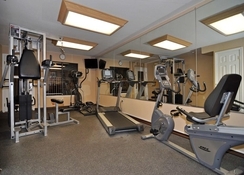 The Best Western Meridian Inn and Suites caters to both families and business travelers with our connecting rooms, complimentary breakfast, our hi-speed Wi-Fi, business center and exercise room. The layout of each suite and its hi-end furnishings have been designed for comfort and functionality. 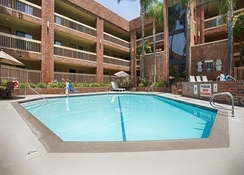 A newly remodeled Green hotel located in the heart of the Anaheim/Orange, California business and entertainment districts. 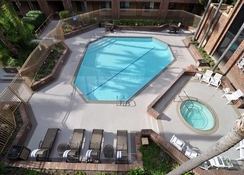 Guests will enjoy the variety of nearby dining and shopping options that has made Southern California famous throughout the world. 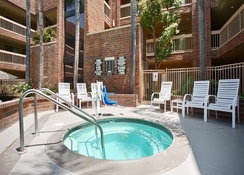 The excitement of Downtown Disney is but a few minutes by shuttle. 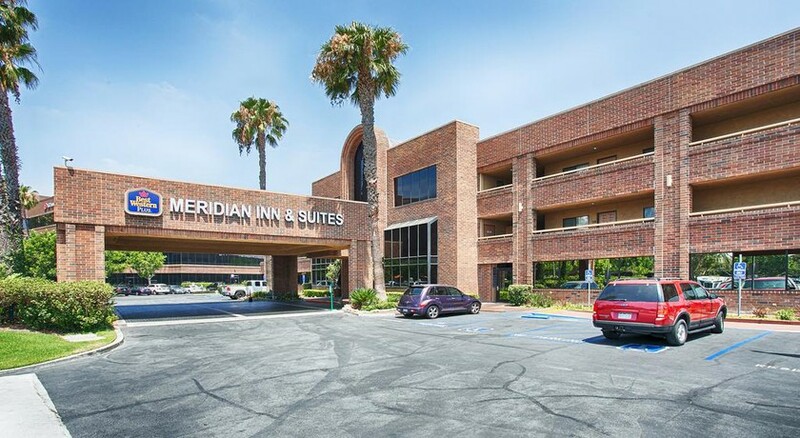 Located on The City Drive just off of Highway 22, The Best Western Meridian Inn and Suites is an ideal temporary home base for both business and leisure travelers to Orange County.